Subcompact crossover SUVs have the fuel economy and small footprint of a four-door sedan combined with the styling and ride height of SUVs. It's no wonder the smallest of SUVs has become a tour de force in the American market. The Ford EcoSport and Hyundai Kona are among the most popular subcompact crossovers. We'll see in this guide which impresses the most. One of the challenges for auto engineers is making the most of the space available--especially in a vehicle that prizes both its small footprint and the ability to haul passengers. Obviously, in a subcompact crossover SUV there's not a lot of room to work with compared to mid-size SUVs. So which of these subcompacts feels biggest even while still being the smallest SUVs on the road? The EcoSport and the Kona are pretty evenly matched but the EcoSport wins out by a hair. Both the EcoSport and Kona seat five, two in the front and three in the back. The driver and front-seat passenger will feel comfortable in both vehicles. 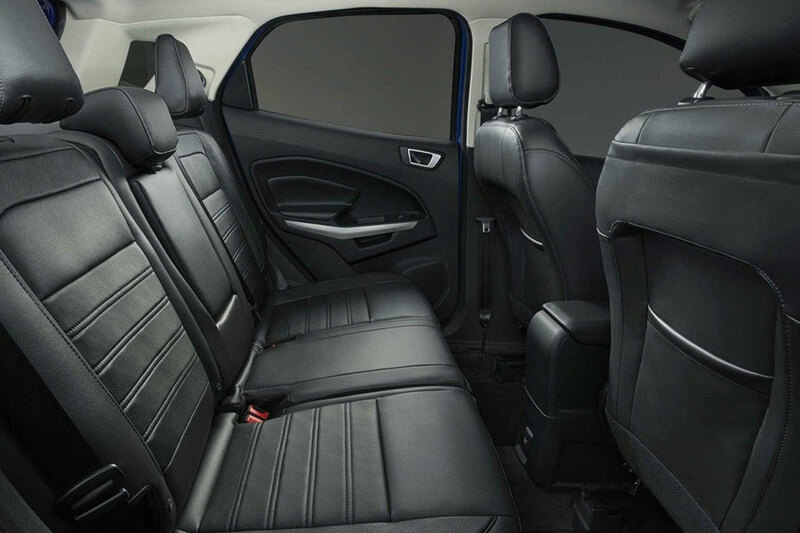 The back seat has plenty of head room in both cars, though if you're well above six feet you'll feel the lack of leg room and may want to consider a midsize option. The distinction here comes in the EcoSport's space for stuff; the Ford has more cargo space with the rear seats up as well as down. The 2018 Ford EcoSport offers two engine options: the base 123-horsepower three-cylinder and the sportier 166-horsepower four-cylinder which we recommend. When properly configured, the EcoSport remembers its sport utility vehicle roots and tows up to 2,000 pounds while many other subcompact SUVs don't tow at all. The EcoSport maneuvers pretty well and can stop on a dime, though it's not the peppiest vehicle on the road. The Kona also has two engine options: a 147-horsepower four-cylinder base engine and the 175-horsepower turbo-four. Though it's not designed for towing, it acquits itself well on rougher roads and maybe even some light off-roading. Because of that and its greater horsepower, the Kona wins this category. The contest between the EcoSport and the Kona is a dead heat in terms of fuel economy. The base Ford EcoSport gets 27 city miles and 29 highway miles per gallon, which is comparable to many other subcompact SUVs. The Hyundai Kona gets 27 city miles as well, and slightly better fuel economy than the EcoSport on the highway. That might save you a couple of bucks a month but not enough to write home about. At first glance, this category should also be a tie. But if you want anything but the base engine and base trim, the EcoSport has a better price. Both start just shy of $20,000 but at each of its other three trims, the comparably-equipped EcoSport has a lower price. However, the Ford is also more customizable to your needs. If, for example, you want the upgraded engine on the base Kona trim, you're out of luck. The base EcoSport is more customizable that way, just $1,595 to add all-wheel drive and the 166-horsepower engine. The race between these brand new subcompact crossovers is a close one, but we're confident the 2018 Ford EcoSport gives you more bang for your buck. Come to Brighton Ford and see how good it feels to drive a Ford EcoSport.